Funcl's proven it's possible to make a great, inexpensive set of true wireless earphones. Since the introduction of Macworld’s True Wireless Earphone Hub back in 2017, I’ve maintained a mantra: If you want a decent set of true wireless earphones, you’re gonna pay through the nose—at least for a while. Cutting-edge technologies cost bleeding-edge prices. For the past couple of years, a tolerable set of truly wireless earphones would set you back at least $150. Pay less than this and things started to get sketchy. Build quality is sacrificed in the name of keeping costs low. Too many advertised features don’t work as advertised. Perhaps worst of all, while the earbuds might look good, they would sound like hot garbage. Happily, as we enter 2019, true wireless earphones aren’t the scrappy young technology that they once were. Designers and audio engineers are finally beginning to noodle out how to create a decent pair that don’t cost a fortune. 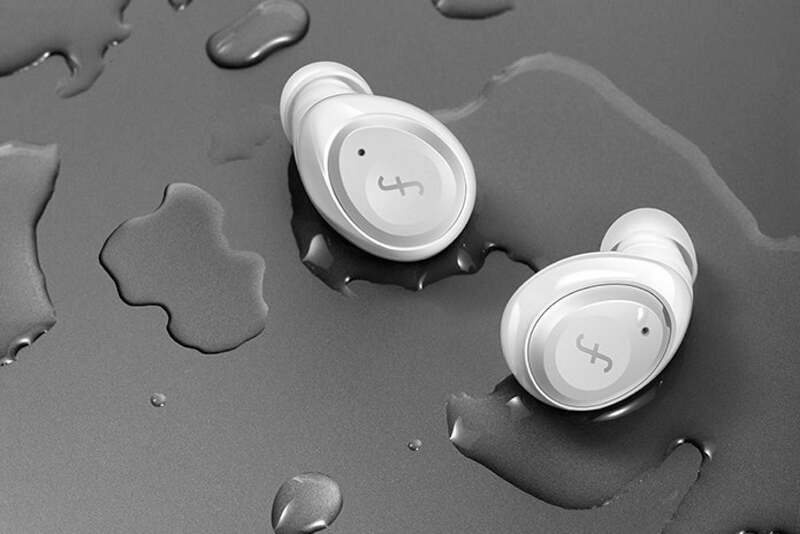 At the time that this review was written, Funcl’s W1 True Wireless earphones cost a mere $49. While they might not provide the premium experience one should expect from a pair of true wireless earphones from Apple or Master & Dynamic, they sound and perform well enough that I can finally say that it’s possible to snag a decent pair of true wireless earbuds on the cheap. Sleek, water resistant and cheap. Where do we sign up? Weighing in at just under five ounces per earbud, the W1 are light enough that the only way you’ll remember that they’re in your ears is the music you'll hear. I found them comfortable enough to wear them for hours at a time while I worked, puttered around the house, worked out. The W1 ship with three different sized silicon ear tips. I found that the medium size, which is installed by default, provided me with a solid seal. While listening at around 70% to 80% of my iPhone 7 Plus’ maximum volume, they provided me with a low, but acceptable amount of passive noise cancellation. I wasn’t able to listen in on a conversation two people were having five feet away from me, but the barks of my dog, demanding that I throw her ball for her for the one millionth time, were clearly audible. As such, these might not be the best earphones to wear if you bike or jog for exercise as you won’t be able to hear any potential environmental dangers creeping up to ruin your life. But they could be a good get for gym goers. That they come with an IPX5 rating, making them sweat-resistant, makes them an even better fit for this role. One of my biggest pet peeves with true wireless earphones, at any price point, is when they ship with touch control panels built into their end caps that fail to consistently register user input. I found that Bragi’s Dash Pro and Sennheiser’s Momentum True Wireless earphones, both of which retail for around $300, suffer from this irritating issue. Not so the Funcl’s $49 W1. I found that they consistently registered my finger taps. That said, the number of things you can do with a tap are relatively limited with these earphones. Tapping on the left earbud’s end cap will accept or hang up an audio call. Two taps on the left end cap will wake Siri. The right earbud takes care of playing or pausing what ever is being streamed from your audio source. It also handles advancing or replay of music tracks. You might be disappointed to discover that the W1 can’t control your audio source’s volume. Finding true wireless earbuds that will assuage this could cost you $100 or more. Me? For the price, I’m very ok with pulling out my phone or turning to my smartwatch to adjust the level of my music. The W1’s charging case feels like it weighs almost as little as the earbuds do, making them an awesome choice for daily carry. That the case’s glossy plastic finish makes it a cinch to slip into or out of your jeans pocket is a win. These perks come at a cost, however: the case’s plastic isn’t of the best quality. I suspect that dropping it from more than a couple of feet over a hard surface won’t end well. However, it’ll likely prove up to the task of protecting your earbuds from the casual abuse of riding around in your purse or bag on your daily commute. Funcl says that the W1 should provide 4.5 hours of use between charges. I found that their runtime was lower, averaging out to around 3.5 hours, per charge, after using them to listen to audio at around 70% maximum volume. If the W1 cost $200, I’d say that this was unacceptable. But they don’t, so it isn’t. For the price, and considering the fact that the battery case is capable of providing an additional three charges to the earbuds while you’re out and about, this fine. Pairing the earbuds for the first time was simplicity itself. After their initial pairing, they consistently connected to my iPhone 7 Plus when I pulled them out of their charging case and disconnected when I put them back in. I discovered that their connectivity began to drop out, indoors or outdoors, at around 15 feet. Keep them close to your audio source—with your iPhone in your pocket or sitting on your kitchen table as you do dishes—and you’ll be fine. It’s also worth mentioning that I did note a number of momentary lapses in connectivity, likely due to environmental factors. But I can say the same thing for many pairs of earbuds that cost far more. The audio quality of the Funcl W1 earbuds won’t win any awards, but it’s okay and closely rivals the sound that I’ve gotten out of true wireless earphones that cost twice as much. They are kind of quiet and, if you crank them up as loud as your audio source allows for, you’re going to hear some distortion. But, listening at volumes of between 50% and 80%, I found them to be fine. I wish that they offered more bass and that their treble was a little more forward, but I was pleased with the reasonable amount of separation they provided. Additionally, if you’re into watching video with your earbuds, I didn’t have any audio syncing issues with them. Provided you’re not fussy about realizing every nuance in the music that you listen to, these inexpensive earbuds will likely sound ‘good enough’ to keep you entertained, with minimal disappointment. You’re not going to get a top-of the-line pair of true wireless earbuds without paying top-of-the-line prices. 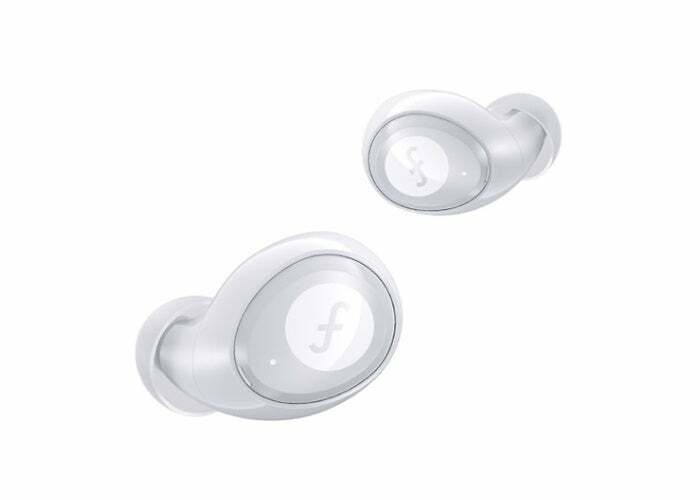 Happily, Funcl’s W1 have proven that, finally, it’s possible to own reasonably capable, pleasant-sounding true wireless earphones without breaking the bank. It’s about time.